The Canadian Catholic Organization for Development and Peace (CCODP) is collaborating with Caritas Kenya, Caritas Ethiopia and Caritas Somalia in providing emergency aid and relief to the estimated 11.6 million people suffering from the severe drought in the Horn of Africa. Donations for this cause that are made between 6 July and 16 September 2011 to Development and Peace from individuals are also being matched by the Government of Canada.The CCODP website currently has background information about the underlying causes of the current food crisis in the Horn of Africa. In addition, it provides a helpful Factsheet on the drought, the assistance being provided by Development and Peace, and information on how donations can be made. During the month of September, the Eparchy of Edmonton conducts its annual Vocations and Seminary Collection.“It takes a whole village to raise a child.” It likewise takes the support of the whole Church to form a deacon, priest, religious, monastic and lay member for ministry in the Church. It also takes our support to offer on-going education and formation for those already in sacred orders or involved in lay ministry.The faithful can acknowledge the role they play in nurturing vocations by offering their financial support to help defray such expenses as formation programs, retreats, conferences, seminars, tuition, books, and room and board.The collection supports Holy Spirit Seminary, Ottawa; the Basilian House of Studies, Edmonton; the Sisters Servants of Mary Immaculate Novitiate, Winnipeg; Clergy Study Days; and the Eparchial Diaconal and Lay Ministry Formation Programs;The collection also assists the Metropolitan Andrey Sheptytsky Institute of Eastern Christian Studies, Ottawa, which serves the Ukrainian Catholic Church in Canada by providing academic and spiritual formation for our future Church leaders.Studying at Spirit Seminary this year are Cyril Kennedy and Tobias Underwood. Studying at the Basilian House of Study this year are Rev. Thomas Kobak, Lawrence Chindris, Mykola Kozelkivskyy, Athanasius Vaida, and Brother Gerard Perchun. In Novitiate with the Sisters Servants of Mary Immaculate, Winnipeg, is Emily Schietzsch.The suggested donation amount is $20.00 per family. A Patriarchal Sobor on the theme of “Consecrated/Religious Life” will take place from August 31 – September 4 in Prudentopolis, Brazil. Delegates and guests representing the Eparchy of Edmonton are Bishop David Motiuk, Serge and Jacqueline Cipko, Orest and Evelyn Eveneshen, and Betty and Nestor Zacharko. Brazil was chosen in part to commemorate the 120th Anniversary of Ukrainian Immigration to Brazil, and the Centennial of Sisters Servants of Mary Immaculate in Brazil. The Annual Synod of Bishops of the Ukrainian Catholic Church will take place from September 11-18 in Curitiba, Brazil. The annual gathering provides an opportunity for the bishops to reflect on the pastoral needs of the Ukrainian Catholic Church worldwide. The 2012 Annual Synod will take place in Winnipeg to mark the 100th Anniversary of the Appointment of Bishop-Martyr Nykyta Budka as the first Ukrainian Catholic bishop in Canada. Presbyteral Council meetings (2:00 – 5:00 pm) – September 26 (Star of the North Retreat Centre, Saint Albert); next meeting: November 8. Clergy Retreat – September 26-29 (Star of the North Retreat Centre, Saint Albert), Retreat Master – Most Rev. Lawrence Huculak. Clergy Conferences – September 30 (Star of the North Retreat Centre, Saint Albert); next meeting: November 9. Archbishop Antonio Maria Vegliò, President of the Pontifical Council for the Pastoral Care of Migrants and Itinerant People, provides the attached message for World Tourism Day, which will take place September 27, on the theme “Tourism Linking Cultures.” For your information, the VII World Congress on the Pastoral Care of Tourism to take place in Cancún, Mexico, the week of April 23 to 27, 2012. The Eparchy of Edmonton will host the “Bishop’s Second Annual Appeal”fundraising events on:“Evening with the Bishop, Friday, September 30, Saint Stephen Parish, Calgary; and Thursday, December 1, Chateau Louis Conference Centre, Edmonton. Please find attached the 2011 Message to Muslims from the Pontifical Council for Interreligious Dialogue to mark the end of Ramadan (Id al-Fitr). Entitled “Christians and Muslims: Working Together for Mankind’s Spiritual Dimension,” it is intended to be shared with Muslims or those working in interfaith conversations. The celebration of Id al-Fitr marks the end of Ramadan which started this year on August 1 and concluded on August 30. His Beatitude Sviatoslav issued a Pastoral Letter on the Occasion of the 20th Anniversary of the Independence of Ukraine. The Ukrainian Catholic Bishops of Canada issued a Pastoral Letter on the Occasion of the 25th Anniversary of the Metropolitan Andrey Sheptytsky Institute (attached). The Office of Religious Education, Eparchy of Edmonton, has launched a new catechetical resource, “Welcome to the Church Year!” The newsletter is in support of Generation of Faith, a parish-driven catechetical tool directed at inter-generation faith learning. Issue 1, September 2011, is attached. 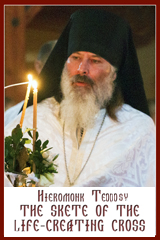 The Eparchy of Edmonton’s website has been redesigned, courtesy of Rev. Roman Planchak and Kevin Lang. 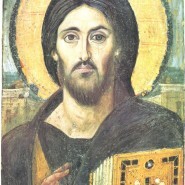 Visit www.edmontoneparchy.com.